This salad is for the novice cactus eater. 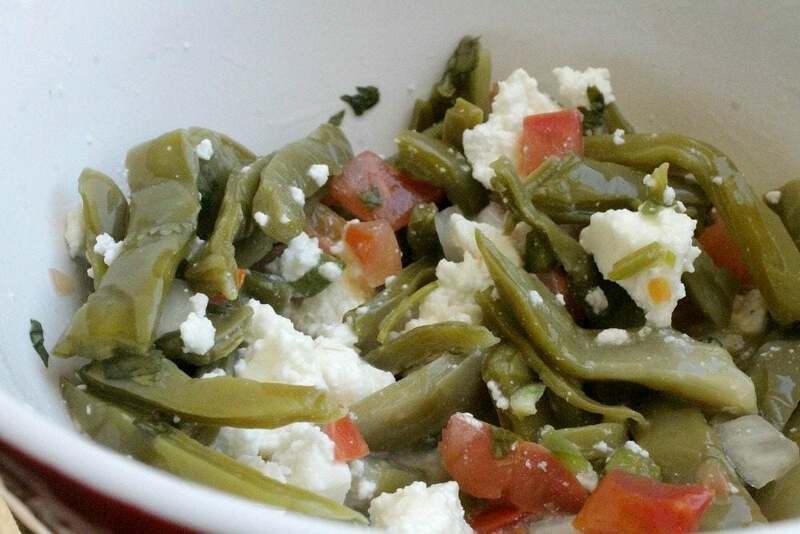 Cactus Salad with Queso Fresco is a classic Mexican dish. 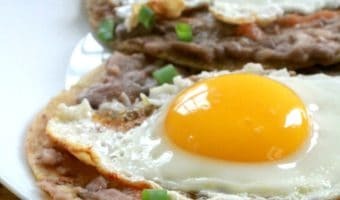 Healthy, easy-to-make, and yummy too! You know the stuff that’s good for you. Hitting the gym instead of eating an entire bag of chips. Not arguing with your spouse when you know you’re right. Protein smoothies for breakfast, and Cactus Salad with Queso Fresco, or Ensalada de Nopales con Queso Fresco, for lunch. Yum! Cactus is the prickly, Mexican superfood. They are still relatively unknown outside of Mexico. 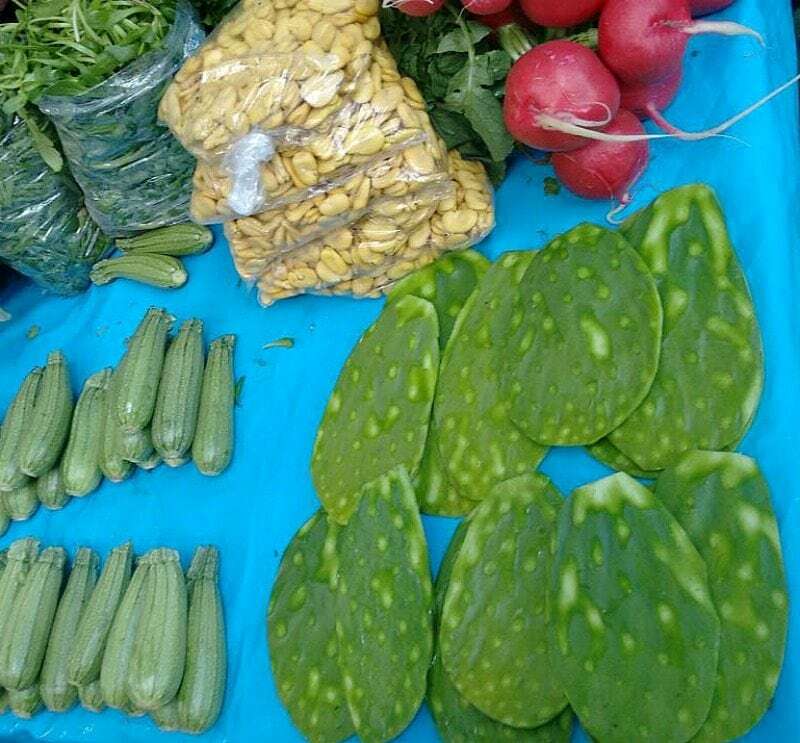 South of the border, though, we know that if you want to lose weight, eat healthy, regulate your blood sugar, have glowing skin, and look younger, you should eat nopales. If you’re nervous about eating them at first, you can always stick them in a smoothie. 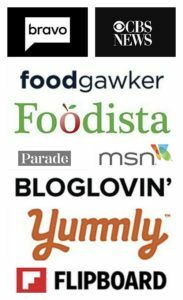 Disclosure: This post contains affiliate links.Even if you don’t like them, you should try to find a way to include them in your diet just for the health benefits. 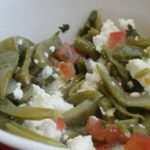 This Cactus Salad with Queso Fresco, or Ensalada de Nopales con Queso Fresco, is delicious and super easy-to-make. If you live in an area where there are a lot of Latinos (because we’re everywhere! ), then you’ll find them like this – raw and ready to cook. 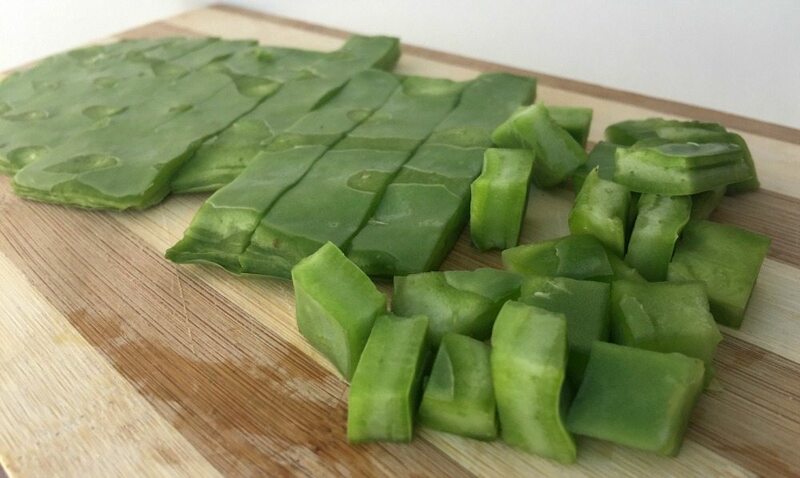 How to Cook Cactus: Remove the spikes, cut into strips, boil in water for 20 minutes. Drain. Rinse. Cool before using. Or, you can BUY THEM ONLINE ready to be used. 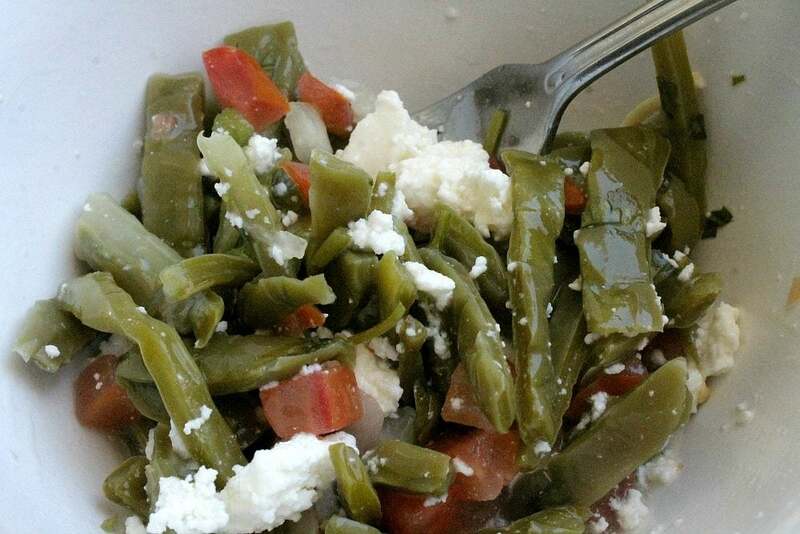 In short, Cactus Salad with Queso Fresco, or Ensalada de Nopales con Queso Fresco, is Mexican Pico de Gallo with cactus and queso fresco. 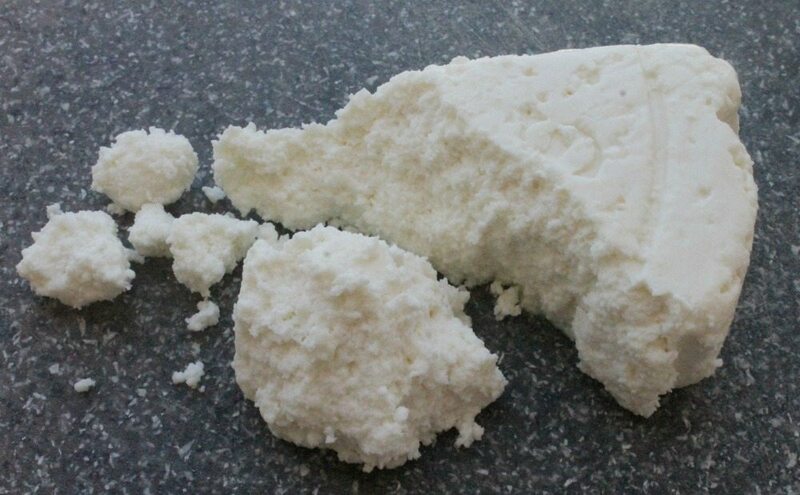 I love queso fresco. Milky and creamy. 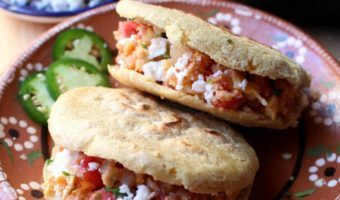 Mmm… You can also use diced Queso Panela or a fresh mozzarella cheese. You want to let the flavors combine. So let it sit in the fridge for at least 30 minutes. 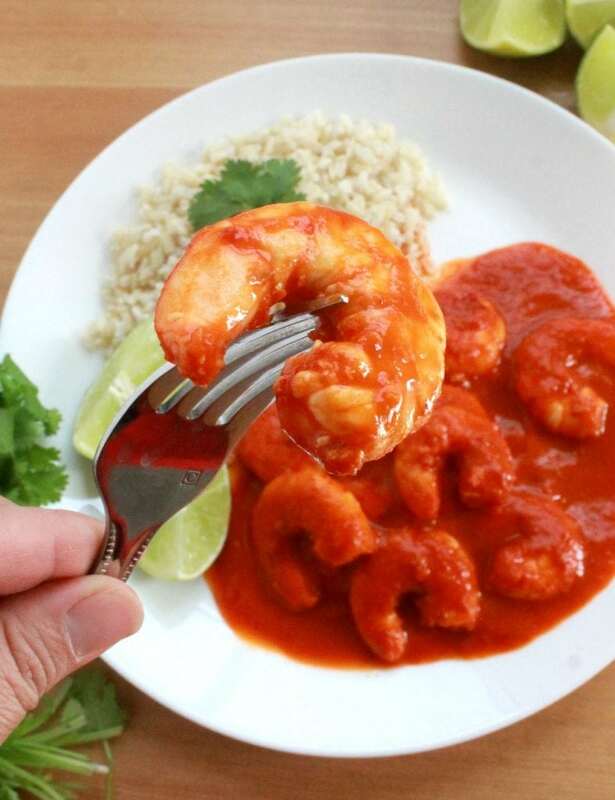 Such an easy dish to entertain with too. To make it a complete meal, you add some to the pan when you’re cooking scrambled eggs. 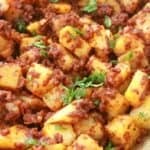 Or, serve it as a side dish, or a light lunch. Hope you enjoy! 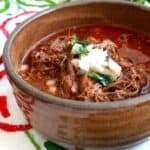 Mix the tomato, onion, cilantro, cactus in a bowl. In a separate bowl, mix olive oil, lime, oregano, and salt. Add the dressing to the cactus mixture. Mix in queso fresco right before serving. Can you describe the texture and flavor of cactus? I am so willing to try as long as I am not gonna gag! My husband is a total American, from New York. He describes it as a cross between a cucumber and a zucchini. Very, very mild in taste. Hope you it a try. So worth it for the health benefits. Growing up in Arizona, cactus was always sold in stores but I’ve never tried it! 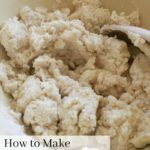 I think I might have to take the plunge with this recipe! Thanks! This sounds soo good I used to have cactus in my yard when I lived in CA. I wonder if I can get it here in MO. I don’t think I’ve ever eaten cactus but now I’m totally intrigued! I love this! 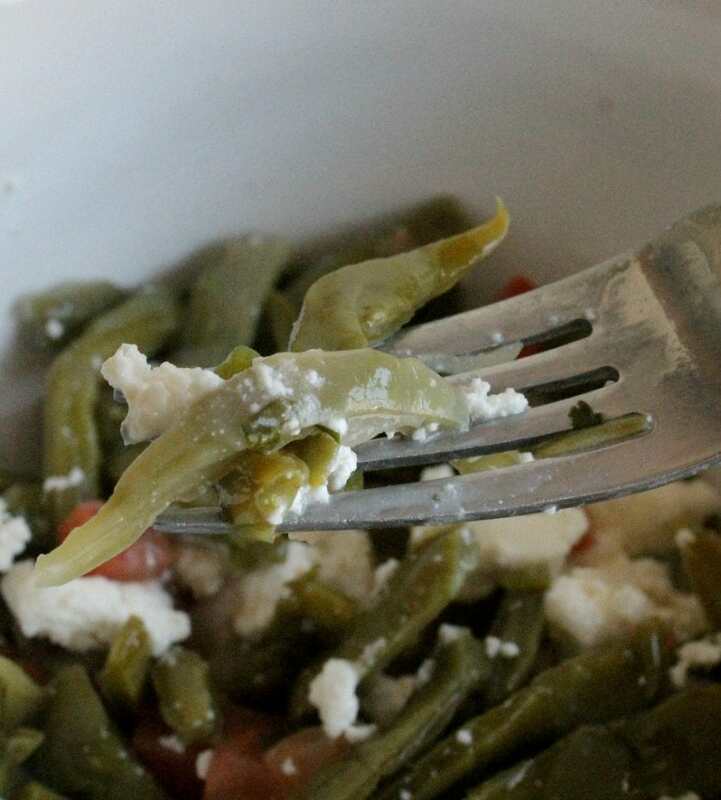 Cactus salad with queso fresco is one of my all-time favorite foods! I don’t think I’ve ever seen a recipe with cactus before! I’ve so got to try this! I’ve never tried cactus, but now I’m curious. I’ll have to give it a whirl!